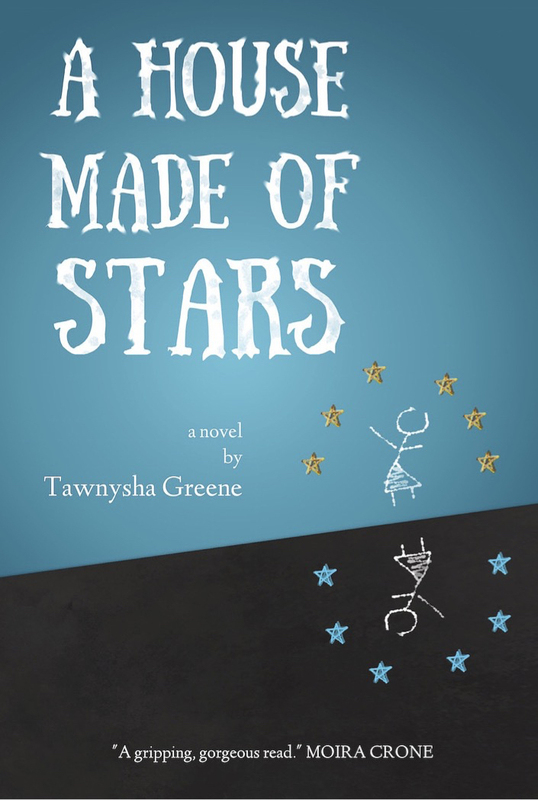 A House Made of Stars, the first novel by Tawnysha Greene, depicts two young sisters who, like many—if not most—pairs of young sisters, live entirely at the mercy of their parents. It is the nature of their parents in particular that provides this novel with its central problem: the mother is religious to a fault and hell-bent on appeasing and protecting their father, who is given to manic sprees and violence against himself and others. In an early, memorable scene, he performs on himself some amateur dentistry. At the start of the novel, the family travels to the home of an aunt and her daughter. We understand at once that the girls have been relocated to where no one can protect them from their caretakers. They go for the sake of their father, to give him a chance to find his elusive footing. It is there, in that crucible, that the novel’s drama takes place, as the mother attempts to maintain some semblance of equilibrium in the face of their father, who is determined to constantly upset it. 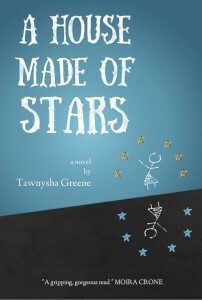 A House Made of Stars is broken up into brief chapters, seldom more than a few pages in length, providing us with glimpses of this precarious stage in the lives of the sisters. This is faithful to the way a childhood is experienced, or at least remembered: less a continuous narrative than a series of episodes that stand out at the expense of everything that is more easily forgotten. That these glimpses never fail to be compelling is indicated by the novel’s Acknowledgments page, which cites 31 magazines in which excerpts from it appeared previously. This is a novel in which nearly every episode could feasibly serve as a standalone piece in itself; at the start of many of the individual chapters, we are swiftly, deftly reintroduced to the characters and their overall situation. One could conceivably pick up this novel and start reading at any point without getting too terribly lost. This also means that the novel reads less, at times, like a novel per se than a novel-in-flash-fiction. There is an overarching narrative being told throughout the book; it is, certainly, a novel; but it is broken up into parts so limited in scope that the genre is at times hard to recognize, as, from the child narrator, we get just the highlights of a period of grave peril. What I found myself occasionally wishing for, as I read, was more connective tissue between the scenes of high drama, more lulls in the action, more parts that would be difficult or impossible to publish as stand-alone excerpts, because not much action would take place for several pages at a time, and whatever we saw of the characters then would depend upon its context within the novel in order to make sense. Without that connective tissue, there isn’t much to counterbalance the novel’s intensity—which, as a result, can fall flat when it ought not to. The writing is, at all times, either solid or exceptional, but the structure does not always serve the material. Which is not to say that the novel fails to tell a compelling story from a unique perspective. By turns harrowing and lyrical, A House Made of Stars is a remarkable debut from a very capable writer, from whom we no doubt have much to look forward to.